Stomach problems can be a rude disruption to your otherwise merry day. 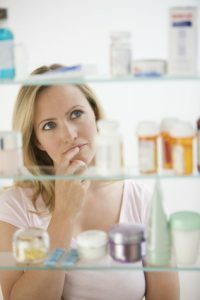 Your medicine cabinet should certainly be stocked with necessary medications that can take care of general stomach ailments effectively. An important thing to ensure as you do so is that the stomach related medicines you take don’t make your digestive issues any worse. For instance, if you have gluten intolerance or celiac disease, you should consider taking gluten-free stomach medicines. It’d be a good way to be assured that you are solving the problem, not aggravating it. Find here gluten-free stomach medication brands available in USA.